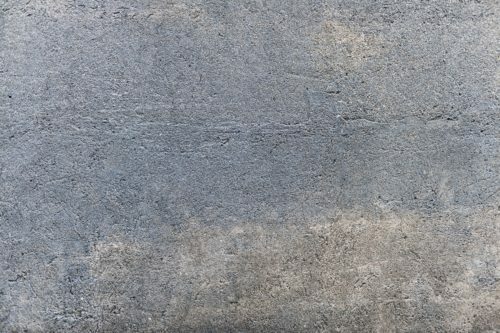 Home » Blog » What’s the Difference Between Concrete and Cement? Is concrete the same as cement? You have probably heard the two terms used interchangeably and may have even done so yourself. There is good reason for this, as concrete and cement are related, but they are not quite the same thing. What is the difference between concrete and cement, and what does that mean for your construction projects? The difference between cement and concrete is sort of like the difference between flour and bread. That is to say, cement is an ingredient in concrete — and some would say the main ingredient. Mixed with water and a few other elements, cement becomes concrete. A cement mixer, more properly called a concrete mixer, is a device that mixes the cement with other elements so that it becomes the concrete you can then pour or pump to wherever you need it. How Does Cement Become Concrete? What is the actual process cement undergoes to make concrete? Although perhaps the most important ingredient, cement, specifically Portland cement, makes up only a small percentage of the total concrete mix. When mixed with water, the cement forms a paste. This paste is then combined with what are called aggregates, usually material like sand, crushed stone or gravel. When mixed and poured, the cement and water form bonds with the aggregates making an extremely hard substance through a process called hydration. This substance is what we know to be concrete. Concrete is a popular building substance for its plastic properties. That is, it can be molded into basically any shape after mixing and before it cures. Once it does cure, it continues hardening for as long as there is moisture in the concrete, which is essentially forever. How Much Cement Is in Concrete? This can vary depending upon the situation, but it is very important to have the right mix of cement and other ingredients in your concrete. If you do not have enough cement, you will not have enough paste to fill all the spaces between the aggregates, and you will get holes within your concrete slab. If you use too much cement, you will have little trouble pouring your concrete, and you will get a nice smooth surface to start. However, your cement will be much more vulnerable to cracking. The right mixture is usually something like 10 to 15 percent cement, 15 to 20 percent water and 60 to 75 percent aggregates. You also want to be careful about your cement-to-water ratio. More water makes the concrete easier to mix and pour, but it also leads to more shrinkage and cracking. How Do You Place Your Concrete? Once you have mixed your concrete, you can pour it directly from the mixer, carry it to the desired location in wheelbarrows or use concrete pumps to deliver it to the area where it is to be placed. If you are in need of concrete pumps for your construction projects, contact DY Concrete Pumps today.